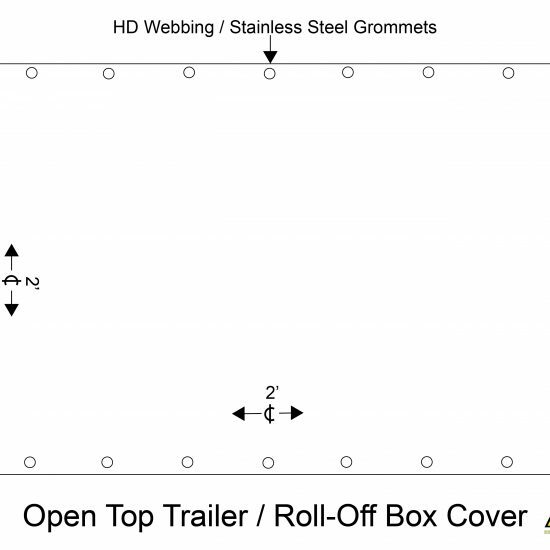 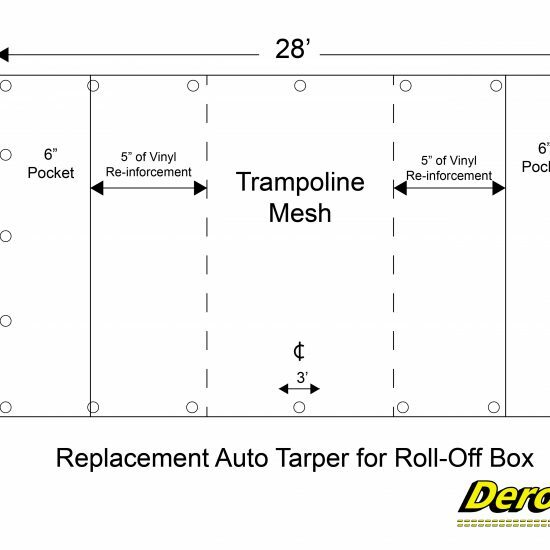 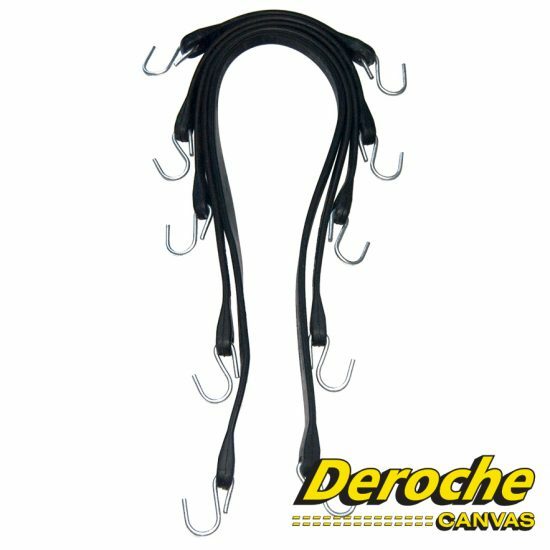 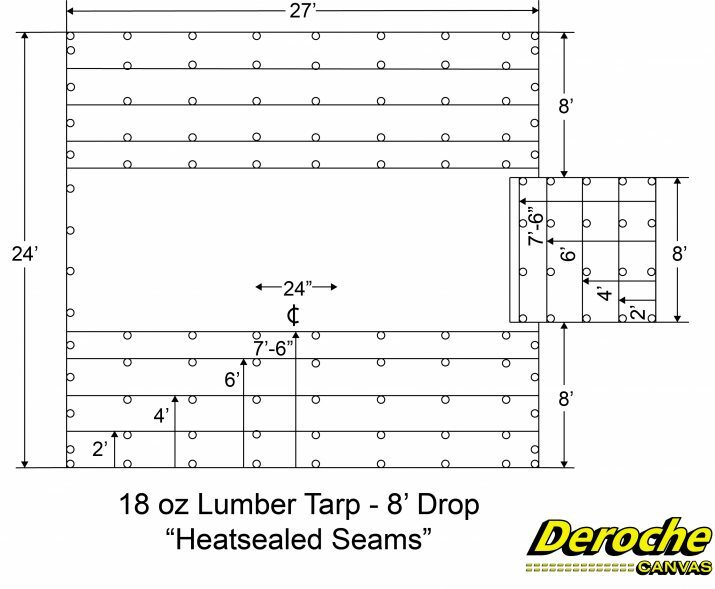 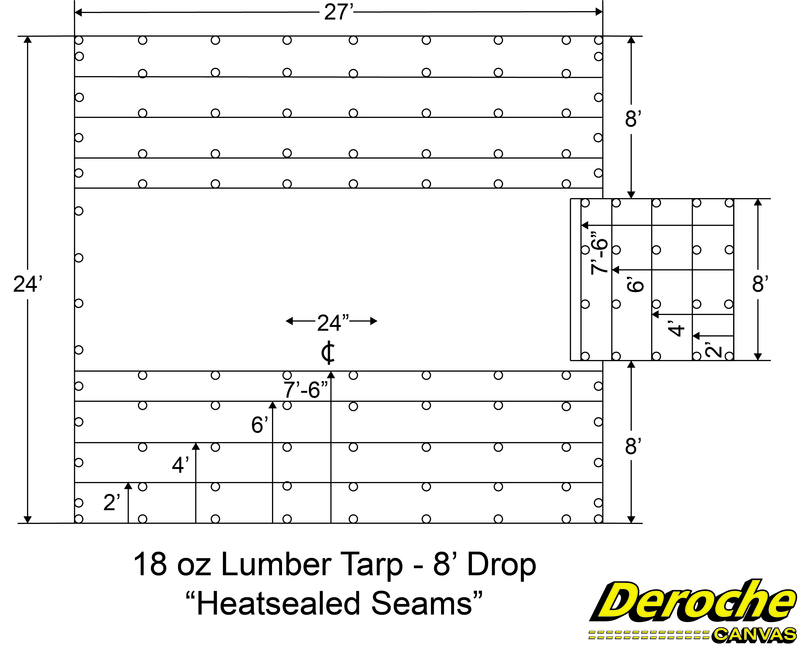 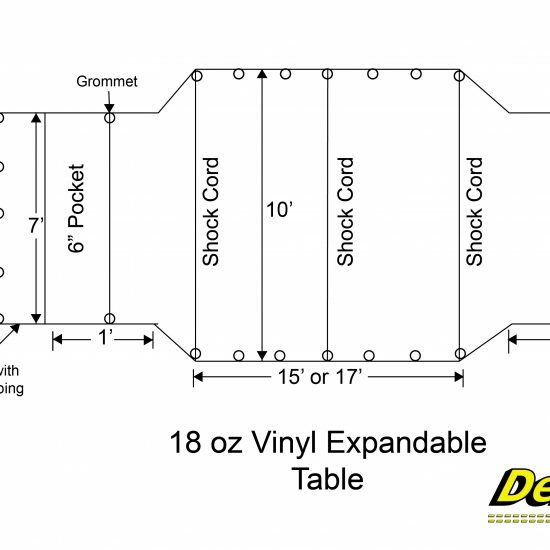 18oz Vinyl coated nylon tarp for 8’ drop with 4 rows of “D” rings 2’ 4’ 6’ & 7 ½ feet up from the edge of the tarp. 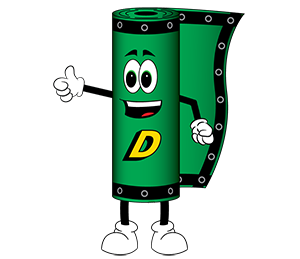 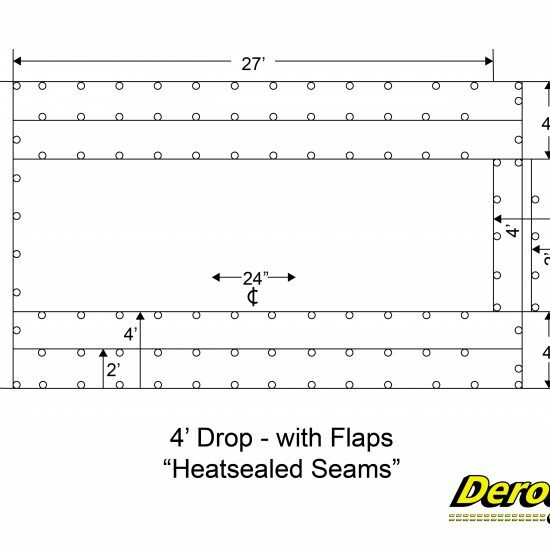 A spacing of “D” rings is 24” off center with double needle lock stitching around the perimeter, reinforced grommets, & heat sealed seams. 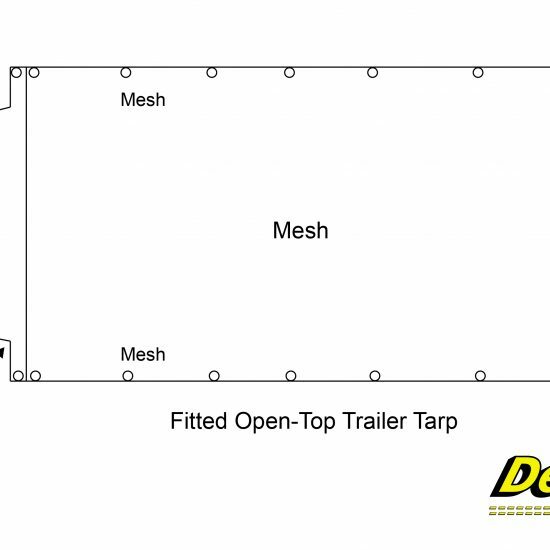 Tarp includes tail flaps on one side of each tarp.